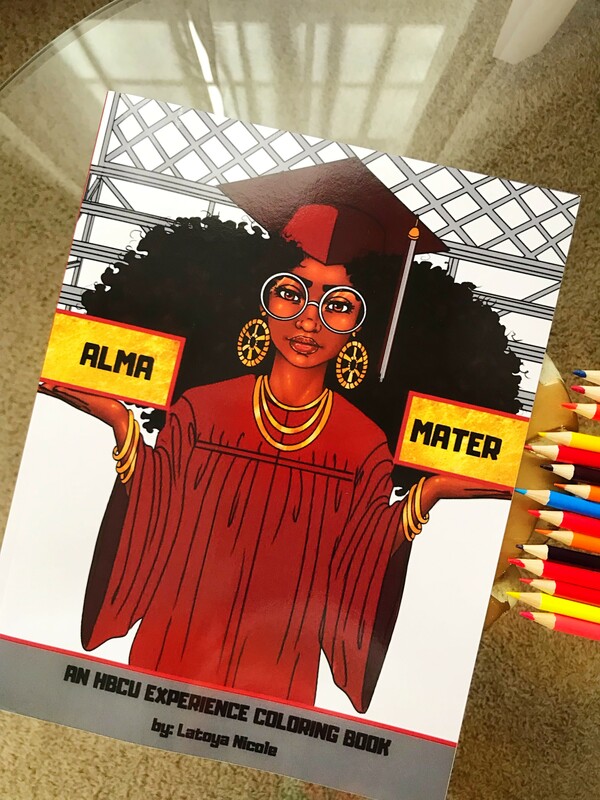 (BPRW) HBCU Grad Returns with First Ever Adult Coloring Book Celebrating Black Colleges | Press releases | Black PR Wire, Inc.
Raleigh, NC – Latoya Nicole, bestselling author and owner of Entrepreneurs Color Too is back with the release of her newest edition “Alma Mater” and it’s just in time for graduation! The coloring book is full of highlights that showcase the Black College Experience including its education, diversity and culture. The illustrations are inspired by beautiful black women and range from Greek life and the Royal Court to STEM and science labs. It even includes activities that test your HBCU knowledge. When asked what inspired you to create Alma Mater Latoya Nicole replied, “It's a way to celebrate the people I see in my community, help women practice self care and pay homage to my own Alma Mater, Winston Salem State University.” The book is great therapy for women and it’s a great way to help students de-stress! Sometimes we just need to unwind, unplug, and relieve some stress and coloring can help with that. You can color and relax by yourself or even have fun celebrating with a Girls night out by having a coloring party! Entrepreneurs Color Too is a coloring book series that gives women of color a new method to relieve stress on the go, at the office, or even at home. Other books in the series include 80’s Ladies which features fashion trends from the 80's and 90's and 24 Shades of Business which is filled with 24 inspiring illustrations of Black women in various occupations from CEO to a Yoga Instructor. The books have already sold thousands of copies and their first book 24 Shades of Business was even endorsed by O, The Oprah Magazine which recently published an article highlighting the significance of adult coloring books in the lives of people who have to face stress and anxiety on a daily basis. It is a great source of learning and might help people who are struggling to make a decision whether they should actually buy such books. Alma Mater is available for purchase on Amazon. For additional information please visit https://entrepreneurscolortoo.com/. Latoya Nicole is a bestselling author, publisher and social entrepreneur. She is from North Carolina and has received a Master's Degree in Counseling/Psychology. 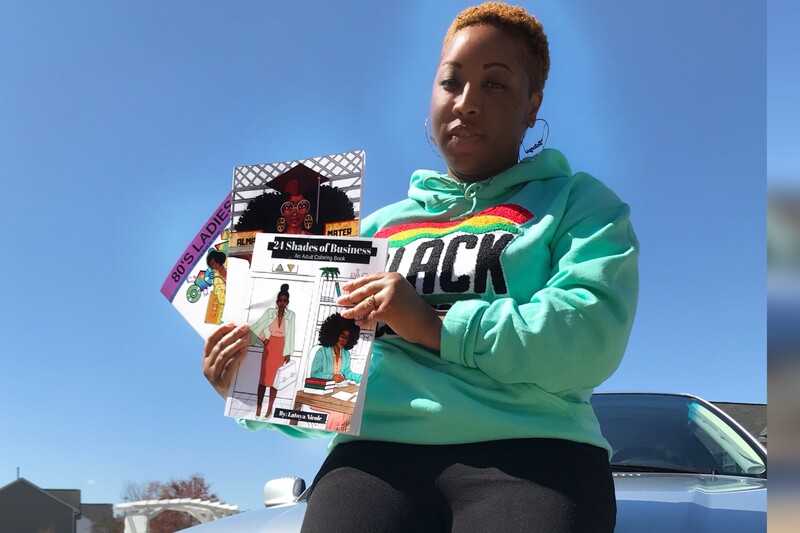 She is creating her own lane while bridging the gap between coloring books and black culture! Her books have been featured in Curly Nikki, Black Enterprise, Madame Noire, Official Black Wall Street and more. Being passionate about uplifting females in the community she also teaches emerging entrepreneurs how to start and market their online businesses. Find her at https://iamlatoyanicole.com/.